Give Your Home A New Look With Stylish Bahama Shutters. With numerous colors and decorative options, Armor has the Bahama Shutter to match your style. When it comes to style, shade, and durability, nothing combines the three better than Bahama Shutters (aka Bermuda Shutters). Our charming Bahama Shutters provide unique curb appeal and island style with the capability to lower your electric bills. These shutters keep harsh sunlight from streaming in and saves your furnishings by blocking damaging ultraviolet sun rays. With the help of Bahamas from the Armor line of Exterior Shutters, you can enjoy all the pleasantries offered by the outdoors without worrying about sun damage or a blocked view. When you’re in the mood for some privacy, it’s as simple as lowering your shutters and locking them in place. When you’re looking for Bahama shutters in Georgia or South Carolina, we know you won’t settle for anything less than the best. This is why we personally design, manufacture, and install all of our shutters right here in the Southeast USA. No matter what your style preferences are, our expert fabricators can craft the custom designed, measured, and painted Bahama shutters for your home with ease. Our Bahama shutters are sure to be a defining “wow” feature of the exterior of your home, while providing protection from the sun for years to come. Installing Bahama shutters is quick and easy when you work with the home improvement professionals at Armor Building Solutions. We pride ourselves in being a comprehensive choice for new shutters of all shapes and sizes. Choose from a variety of shutter types and styles to fit the needs of your household and environment. With unparalleled dedication to customer support, we make buying shutters a simple and stress-free process. 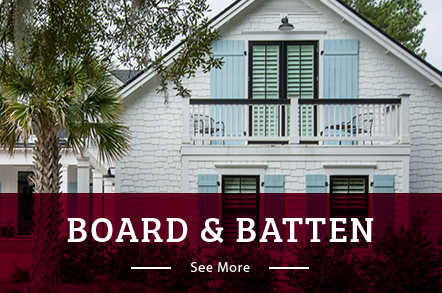 If you’re ready to get started on your custom shutters in Bluffton SC, Beaufort, Georgia, Savannah, Myrtle Beach, Charleston, or the surrounding areas, contact us today. You can give us a call or fill out our online form for your free estimate.